According to records, a total of 431 leopards died in 2017, including 159 incidents of poaching. Around 450 leopards died in 2016 and 127 were poached. India recorded 460 leopard deaths in 2018, the highest mortality rate of the big cat species in the country in the last four years, the Wildlife Protection Society of India (WPSI) said. Three-ninety-nine leopards died in 2015 while 331 died in 2014. "The highest leopard mortality rate was recorded in Uttarakhand with 93 deaths. This is followed by Maharashtra (90), Rajasthan (46), Madhya Pradesh (37), Uttar Pradesh (27), Karnataka (24), and Himachal Pradesh (23) among others," WPSI programme coordinator Tito Joseph told news agency IANS. "Poaching, road accidents and human-animal conflict are the main reasons for the increased mortality rate. 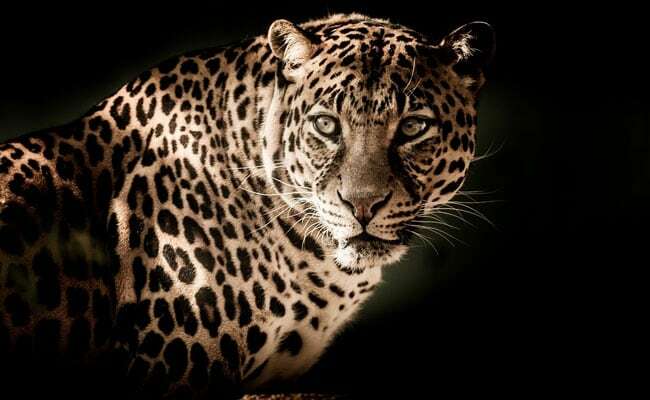 In 2018 alone, 29 leopards were killed by villagers while eight leopards, considered to be man-eaters, were killed by forest department workers," he said. Mortality is a category when a leopard or tiger is found dead due to diseases or unknown causes, shot by forest department or police, killed by villagers, killed in road or train accident, killed in rescue operation or during treatment, infighting, and accidental electrocution. News agency IANS had reported that as many as 106 leopards died in the first two months of 2018 in forests across India -- a number that conservationists and officials said was "alarmingly high". Union Environment Minister Harsh Vardhan had on March 9 informed Parliament that his ministry was aware of the deaths and that the matter was being dealt with. Leopards have been targeted by poachers for their hides and other body parts. However, habitat loss, especially due to farming, also poses a threat to them. According to experts involved in tracking illegal wildlife trade, an animal skin changes several hands before it reaches a possible market in China where it can potentially fetch around Rs 50 lakh -- or even higher. The Indian leopard is listed as "vulnerable" on the International Union for Conservation of Nature's Red List. It is protected under Schedule I of the Wildlife Protection Act, 1972.